Sarafina Wright is the "All Things Considered" producer for WFAE 90.7 Charlotte’s NPR Source. Before coming to WFAE, she worked as a political correspondent for EBONY.com, staff writer at the Washington Informer and editor-in-chief of the WI Bridge in Washington, DC. She earned her Bachelor of Arts degree in journalism from Howard University. When she's not writing professionally, Sarafina can be found blogging at www.sarafinasaid.com or hanging out with her book club, Charlotte West. The Executive Director of the North Carolina Republican Party Dallas Woodhouse will step down following the party's state convention in June. Woodhouse confirmed his plans to depart to WBTV on Monday. CMPD is investigating a homicide Monday morning in east Charlotte that left one man dead. Officers responded to an assault with a deadly weapon call around 8:20 a.m. off The Plaza. WFAE's Sarafina Wright reports on Charlotte's Eritrean community honoring slain rapper Nipsey Hussle. The killing of 33-year-old rapper and activist Nipsey Hussle last month in Los Angeles has echoed around the world. Candlelight vigils were held for him across the United States, in London and even here, in Charlotte. WFAE's Sarafina Wright reports on Dreamville Festival. Some of the biggest music festivals take place this month. Coachella in California, Broccoli City in Washington, DC and MerleFest in Wilkesboro. And on Saturday, a music festival in Raleigh backed by one of hip-hop's biggest names hopes of someday having similar prestige. Mecklenburg County Assessor Ken Joyner warns residents of fake revaluation notices targeting Charlotte residents by a local real estate company. He said his office learned of this occurring on Thursday. Gov. Roy Cooper announced Monday that the state is offering a reward of up to $5,000 for information about the unsolved killing of a 7-year-old boy in Charlotte in 2015. CMPD has made three arrests in connection with the killing of a Charlotte mom who was caught in the crossfire of a shootout yesterday. The chief executive of Wells Fargo faced another round of testy hearings on Tuesday before a Congressional panel about the bank's series of violations that have resulted in more than $3 billion in fines in the last three years. 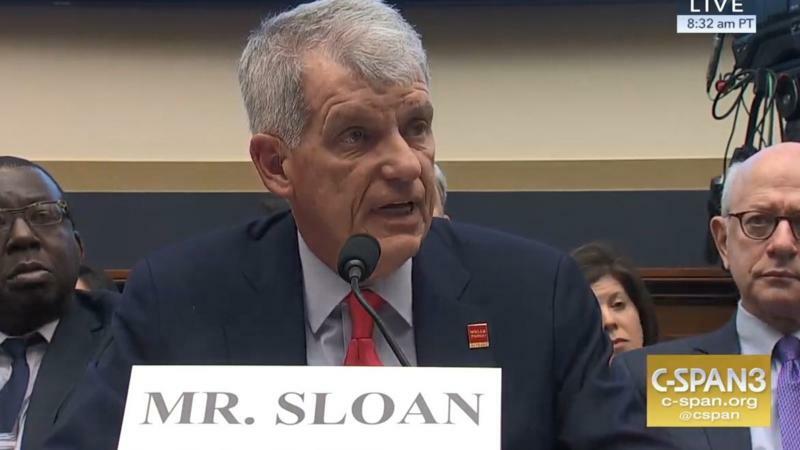 Rep. Maxine Waters, who chairs the House Financial Services Committee, scolded CEO Tim Sloan for what she said is continued customer abuse. The City of Charlotte now has a new records request tracker. The feature on the Open Data Portal tracks the status of your public records request, and others can too. Britt Clampitt, of the City of Charlotte, said the move is about transparency. A CMPD officer is charged with obtaining property by false sretenses. CMPD says Officer Todd Beltrone falsified his time sheet at least 19 times since July, receiving about $7,000 for work he didn’t perform. The section of Interstate 40 closed by a mudslide near the Tennessee state line will remain shut down through at least Thursday. CMPD is seeking the public's help in solving the murder of a man who was found dead in west Charlotte Monday morning. 35-year-old Melson Quince was discovered hours after officers responded to an initial call of gunshots at Club Nikki’s on Little Rock Road. This All-Star weekend, the NBA takes center stage. But around Charlotte, the mothers, wives and partners of your favorite players held events to empower women. With NBA All-Star game uptown this weekend, the Charlotte Hornets are getting more attention. But there was a time when Charlotte was a two-basketball-team city - the Hornets and their sister team, the Charlotte Sting. Dawn Staley was one of the most well-known players for the Sting. Charlotte’s own R&B star Anthony Hamilton will perform the national anthem at the 68th annual NBA All-Star Game Sunday. Hamilton said he hopes he can put a new meaning on the Star Spangled Banner. WFAE's Sarafina Wright reports on Queen City Tours. A group that has highlighted Charlotte's black history for 26 years. In 1993, Juan “Jay” Whipple held his first Queen City Tour, an excursion that highlights black history throughout Charlotte. Whipple, a Miami native, first took an interest in the city’s history in the early ‘80s when he visited for the first time. With the tall buildings in uptown and people dressed in suits, Charlotte left an impression on him. QCityMetro Managing Editor Katrina Louis talks weekend entertainment with All Things Considered Host Mark Rumsey. "Nina Simone: Four Women" presented by the Actors Theatre of Charlotte is one of the entertainment options available around Charlotte this weekend. And it leads off our conversation as we debut a weekly segment on local entertainment that will air Thursday afternoons during All Things Considered on WFAE from 4:00 to 6:30 pm. Carolina Panthers Quarterback Cam Newton said his recovery from shoulder surgery is going well, an injury that especially plagued him the last half of the season. But until he's fully recovered, Newton said he's been working on another project: his new cigar lounge "Fellaship" in Atlanta, Georgia. An estimated 57,000 households in Mecklenburg County receive government food benefits, but come March, those benefits could run out due to the partial federal government shutdown. On Sunday, February’s benefits were distributed early to those people who receive nutritional assistance. Dr. Antonia Mead, professor Health Education at Johnson C. Smith University, talks about what the university is doing to address the black maternal health crisis with "All Things Considered" host Mark Rumsey. Each year in the United States, about 700 women die from complications related to pregnancy or childbirth. According to the federal Centers for Disease Control, the risk of pregnancy-related death for black women is three to four times higher than it is for white women.